I’m here to help make your visit here an amazing experience! I assist you in scheduling appointments, treatment coordination, financial planning, and any other concerns you may have that will allow our team the opportunity to deliver a high standard of care. The best part of my job is having the opportunity to be a part of creating smiles! I began my journey here at Windward Smiles in 2013. I have been in the dental field since 1992. 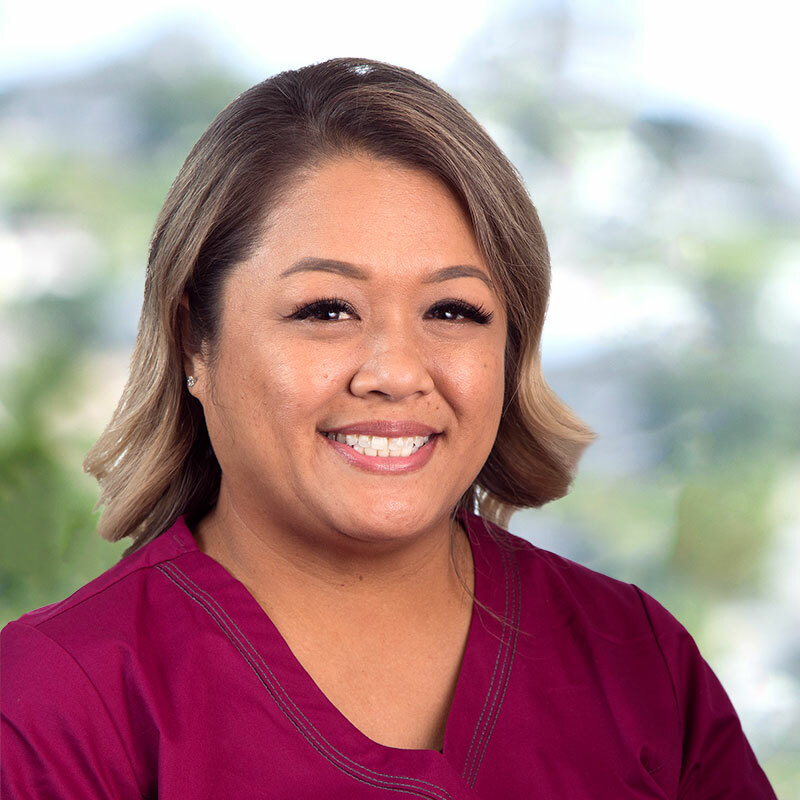 Starting as a central sterilization assistant, I ventured onto chairside assisting, cross training, front office, to practice management both here in Hawai’i and in California. Attending continuing education often in Texas. Allowing me to be functional throughout the dental practice. My hobbies include anything adventurous. Diving with sharks, Parasailing, and I LOVE hiking O’ahu and chasing waterfalls with my family.